Deep in the mountainous heart of Ladakh, the Nubra Valley is accessible via the famous Khardung La Pass, the gateway to the valley. 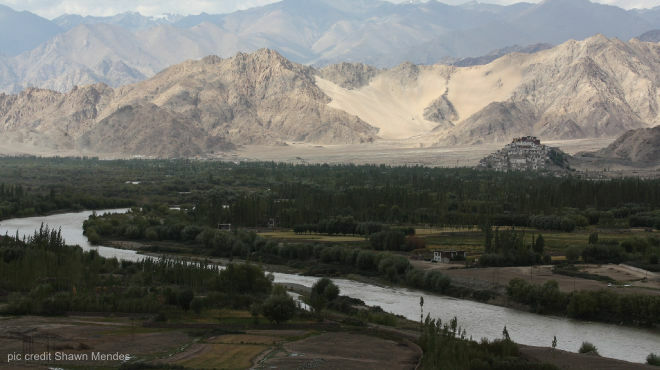 Your trip to the Nubra valley starts in Leh. From here, you will drive across Khardung La and onwards to the valley. The pass is navigable only by four-wheel drive or on a heavy-duty motorcycle. Buses also traverse the route but are used mainly by the locals. Do not attempt the trip in a regular car.